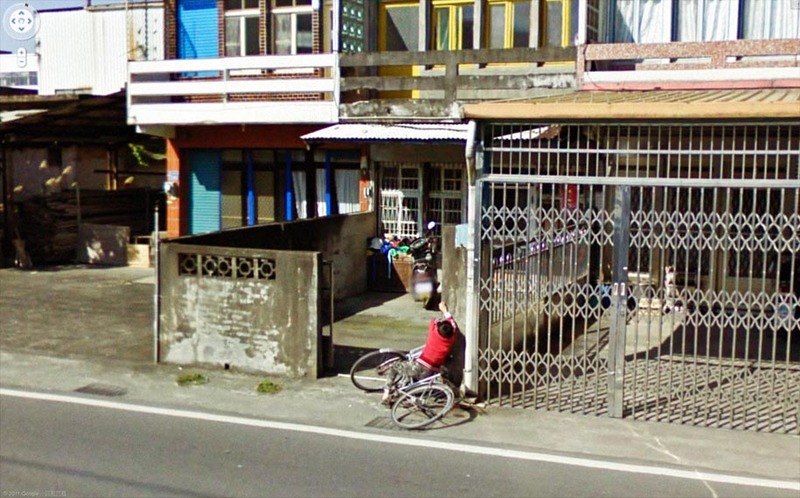 The street view on Google Maps is a great feature, especially for checking out places you’ve never been before. 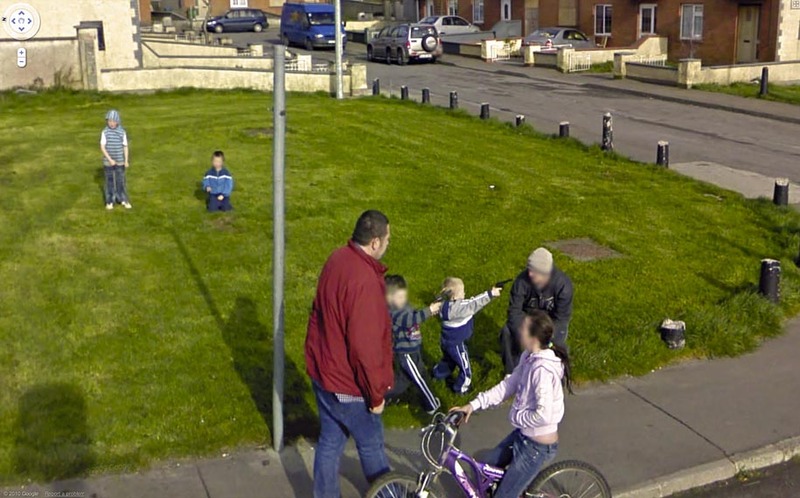 Sometimes though, Google inadvertently captures some candid, hilarious, and/or beautiful pictures of the spots they’re mapping. 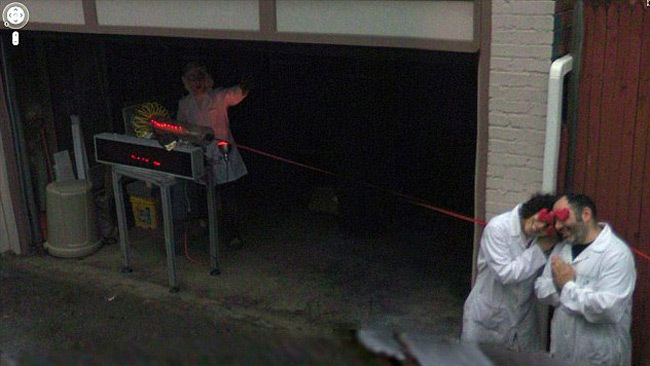 Just imagine checking out a new place on street view and seeing one of these 31 pictures. Wait until you get to #11. That would freak me out. 1.) 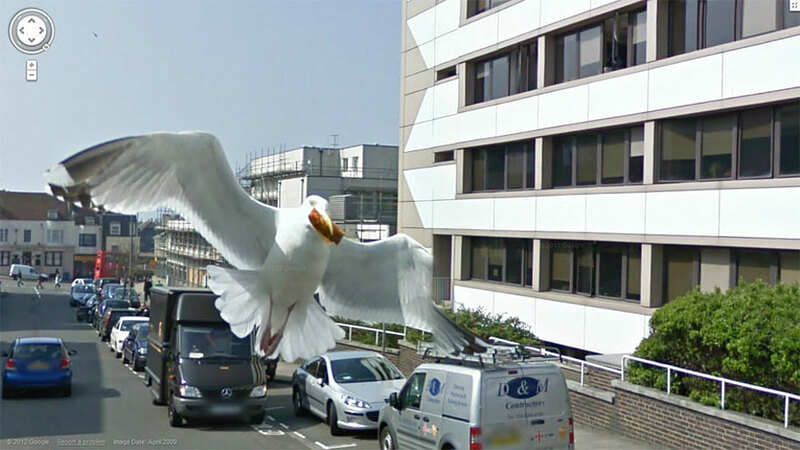 Seagull coming in for a landing. 2.) 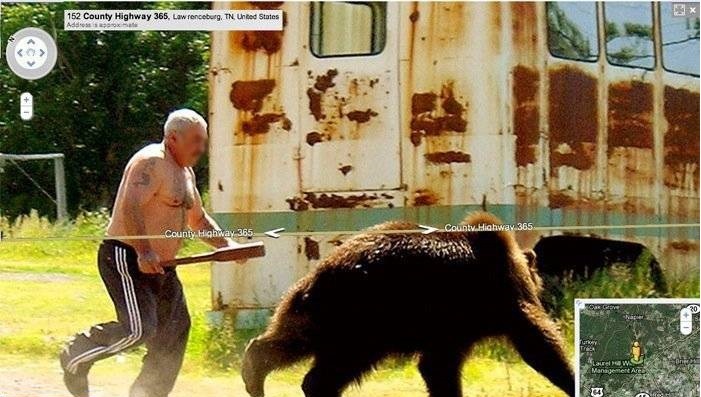 Russian guy chasing a bear. 3.) 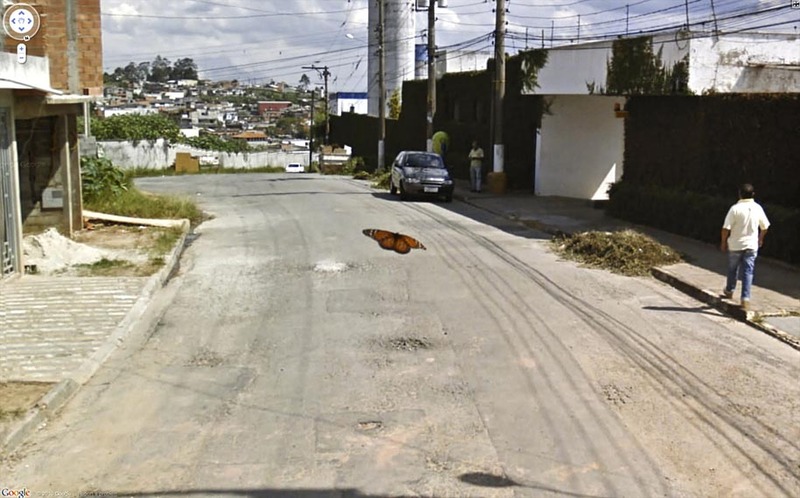 Butterfly landing on the Google Street Car camera. 4.) The aftermath of an epic party. 5.) That’s a monkey riding in that sidecar. 6.) Nope. Not a building explosion. Just bird poop on the camera. 7.) The cast of Wayne’s World? 8.) Looks like an escaped inmate to me. 10.) Is that guy in the trash can? 11.) This is how horror movies start. 12.) 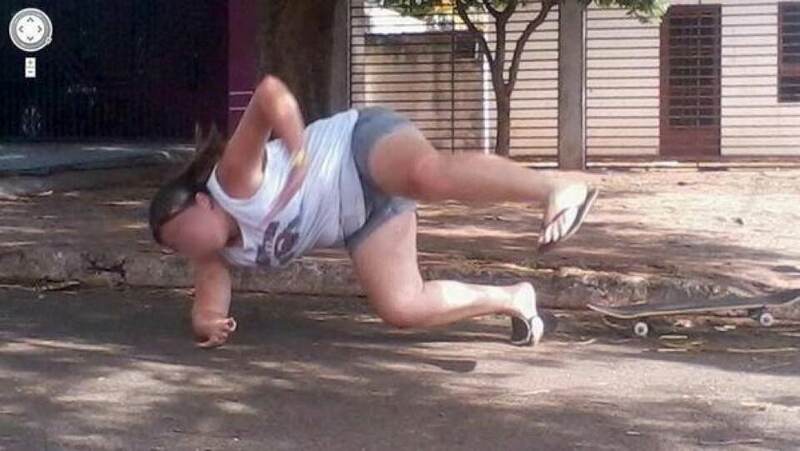 The miracle of birth caught on Google Street View. 13.) Terrible bus driver caught in the act. 14.) Just a tiger stalking humans in a parking lot. 16.) 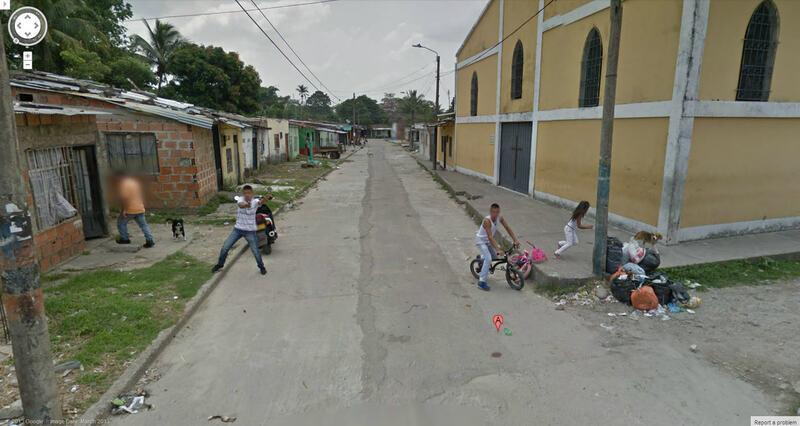 Shooting at the Google Street Car in Colombia. 17.) 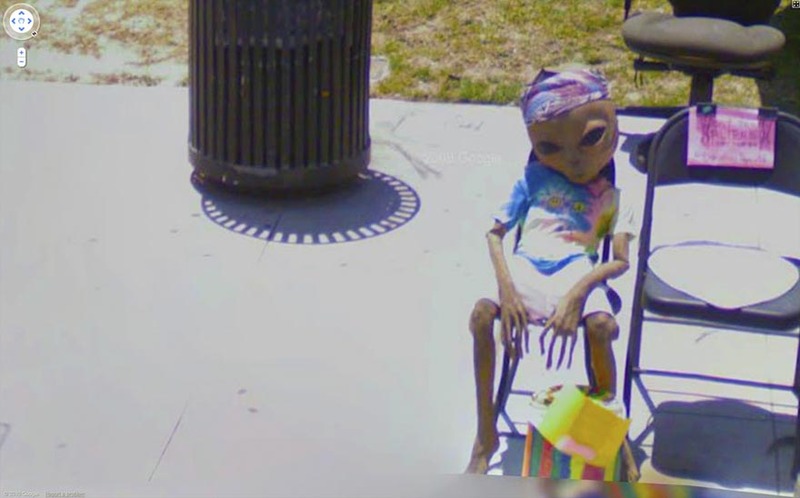 Aliens discovered on Google Street View! 21.) I wonder what the heck is going on here. 22.) Moments before disaster stuck. 23.) Twins or creepy ghosts taking a walk? 24.) 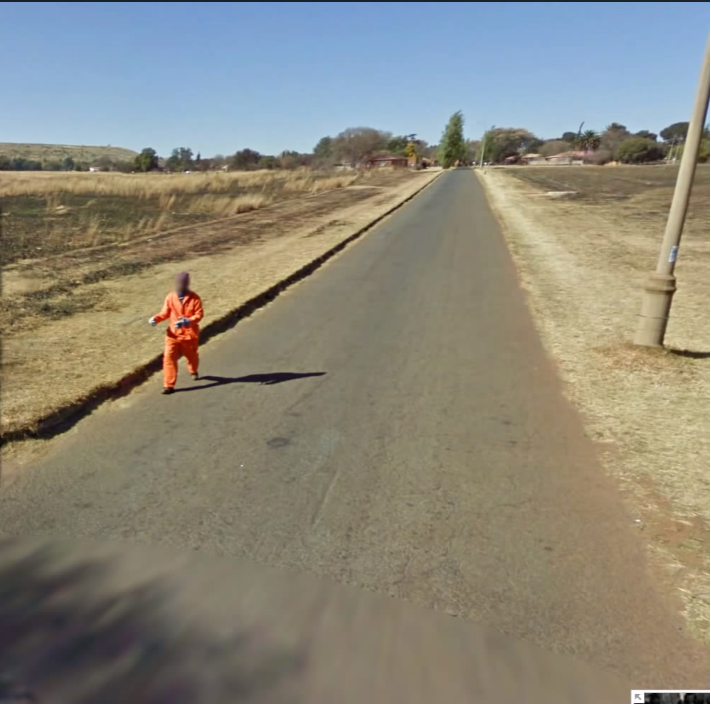 That guy isn’t having a good day. 25.) Monkeys hanging out somewhere in Japan. 26.) Lonely open, frozen road. 29.) Monkey taking in the view. 31.) 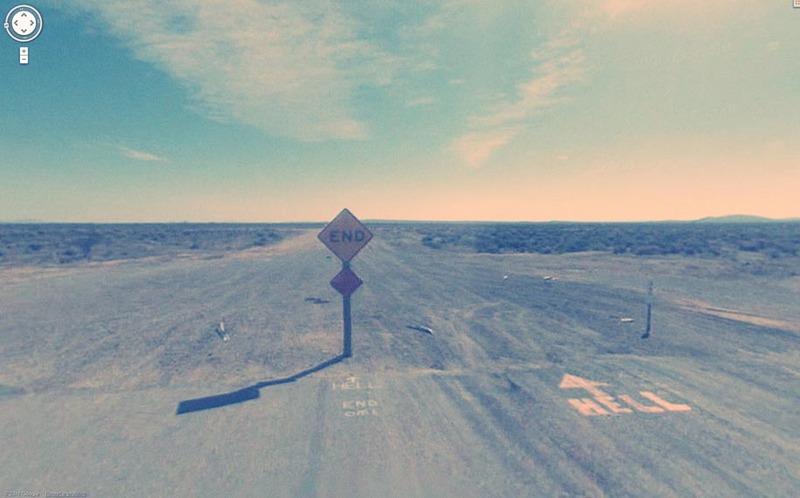 I don’t think you should go down this road.